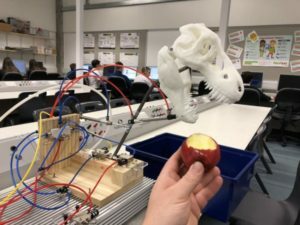 Angus Young Engineers (AYE) are an afterschool engineering education based charity, dedicated to steering young people into education and careers involving STEM. This year, with support from Digital Xtra Fund, AYE are building on the successful projects they have delivered since 2003, with the launch of The CAD/CAM Café, a programme to facilitate peer-to-peer learning at Forfar Academy and primary schools in the catchment area. Taking advantage of Angus Secondary schools’ timetables, which gives all secondary school pupils Friday afternoon off, The CAD/CAM Café is a digital-skills employability project that works on two levels to inspire young people into the digital world of work, and to fill local skills gaps in digital manufacture. 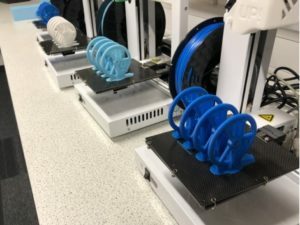 This year a group of 20 pupils aged 12-16 from Forfar Community campus will get the chance to take part in a programme of workshops on 3D Computer Aided Design and Manufacturing, 3D Scanning, and Digital Manufacturing using 3D printers and 2D laser cutters. Working in groups of four, the young participants will take on role play jobs that reflect the local industry. Supported by AYE’s industry mentors and STEM ambassadors, pupils will gain valuable employability skills as they progress through the 20 week programme – working towards certificates of Digital Manufacturing Confidence, with bronze awarded after 10 weeks, silver after 20 weeks of the programme, and the opportunity to achieve a gold award by acting as mentors and tutors to a local primary school. The second aspect of The CAD/CAM Café will see the 20 pupils from AYE introduce 230 P6 pupils in 3 urban and 5 rural primary schools to a 3D scanning and printing activity that the Café participants have been developing. 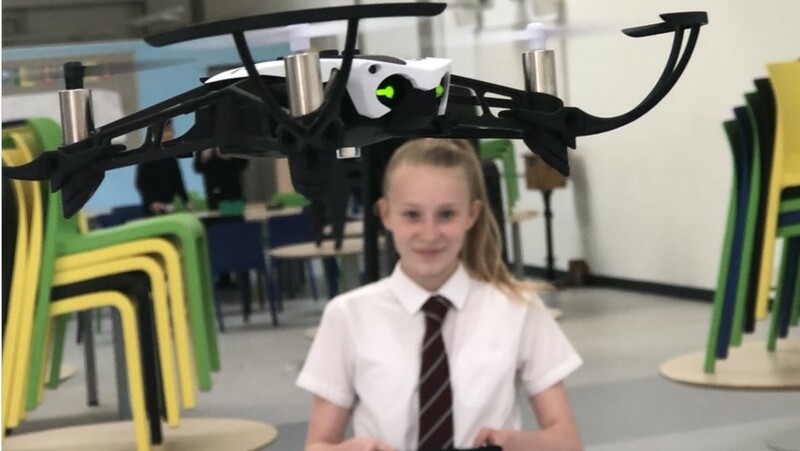 Primary school pupils will work in groups to scan their peers’ heads to make 3D portraits, be introduced to 3D CAD, navigate Thingi-verse and 3D print an object to complete a design task to make a drone flight-ready. 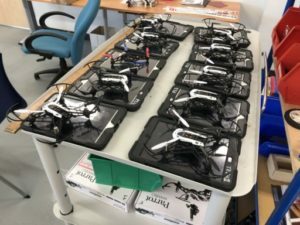 As with the Secondary school programme, pupils will have the opportunity to roleplay exciting real-life situations from the digital tech sector like designing and testing drones on missions to deliver antidotes to remote locations. Each group will work with a secondary school mentor who is working towards their Gold Digital Manufacturing Confidence certificate, with support from other Senior Young Engineers Leaders and the schools’ primary school transition programmes. As with many of the Fund’s supported projects, AYE are committed to inspiring girls into STEM, with a particular focus on promoting this project to girls. Woman AYE coaches act as positive role models to young female participants, and AYE have also established a link with Girl Guiding in Forfar, running regular taster sessions to attract girls into STEM-based activities after school. 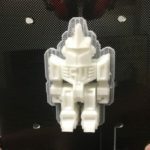 AYE’s CAD/CAM Café is one of 11 initiatives supported by Digital Xtra Fund’s annual grant awards, contributing to our goal to give every young person in Scotland access to a digitally creative activity. These awards are made possible by the valued support of the Fund’s partners, sponsors and funders. To help us continue this work in 2018/19, find out more about supporting Digital Xtra Fund and inspiring Scotland’s digital future here.